BAYSIDE – A car left unlocked on Golf Course Road was inevitably entered by persons unknown Sunday, Sept. 2 at about 2:30 p.m. Stolen were credit cards and keys to two residences. On calling the bank to cancel the cards, the theft victim learned that the debit card had already been used – at Fourth Street Market and a Eureka business. 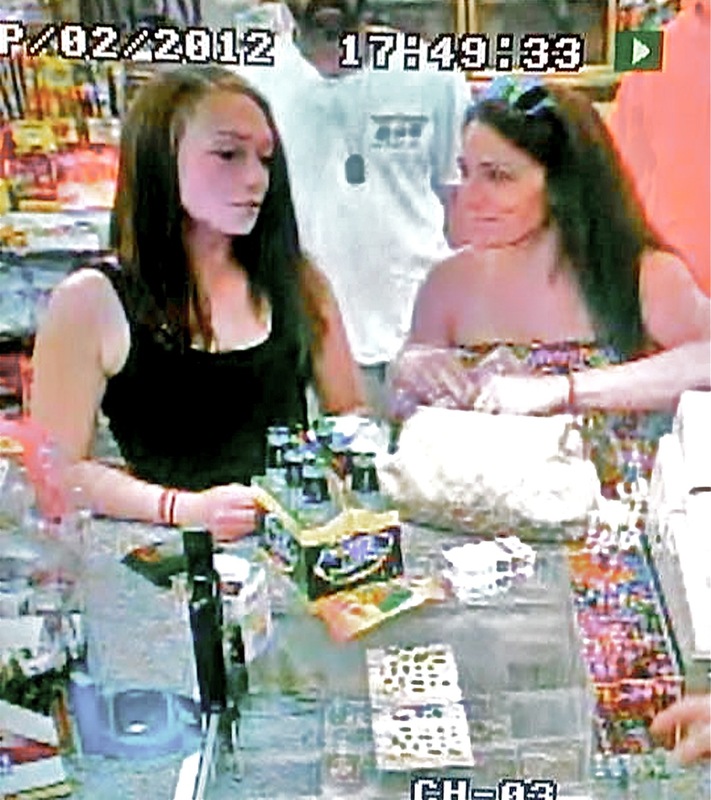 The two women in the security camera video were allegedly using the stolen card to purchase what looks like Mike’s Hard Lemonade, schnapps, chocolate milk and cigarettes. Anyone with information on the women’s identities is asked to contact APD at (707) 822-2428. This entry was posted on Wednesday, October 10th, 2012 at 7:04 am	and is filed under News. You can follow any responses to this entry through the RSS 2.0 feed.